Q&A with Panasonic at Popco: “24MP is the maximum we could reach now” and “We’re not considering going FF”. There is a person who claims himself had an interview with an employee from Panasonic HQ while he’s on his photo trips in Japan. (That’s how I got from his post) I’m not sure about this, anyhow it seems the OP had attended some kinda customers meeting by Panasonic. He refers the interviewee is occupied in video department. Q: Any possibility for multi-aspect again? A: We didn’t gave the multi-aspect up yet. That said, we’re considering it with the market flows. Q: Did GM line go away? A: In Europe we’re successful with GH, G and GX, while we’re most profitable with GF in Asia. GM sales didn’t came up to our expectations, so we’re adjusting the timing for release. Q: Is it possible to improve AF performance on 4K/30p technologically? Q: Then is it possible as well on GX8, G7 via firmware upgrade? A: We’re considering. As processor-image processing engine- allows we’ll find the way out. Q: What’s going on the organic sensors? A: We’re on the way of development. That’s all I know for now, and I hope the sensor to come in M4/3 as well. Q: UHD goes to 8K in the end. Can we have the 8K on M4/3 sensors? A: Personally I expect the M4/3 sensor allows 24MP at maximum. I doubt if M4/3 sensor could offer more than that MPs considering pixel density matter. Q: Then we should have an organic sensor as a prior condition for 8K, right? A: (Smiling)I think so. Yet I have nothing to say about organic sensors. A: My apologies, but I’m not allowed to tell anything of it. We’re on the development. Q: Would FF ever comes from Panasonic? A: We’re not considering FF. The beauty of M4/3 is its compactness and we’re maximizing its value in that regard. Q: Any comments for tiny grainy noises? A: It’s all about sensor density, so I can’t say if it would get improvements soon. We’re taking it into our account as well. The above is what OP presented. I found some additional informations on comments section. It looks like from another participant of the (same) meeting. 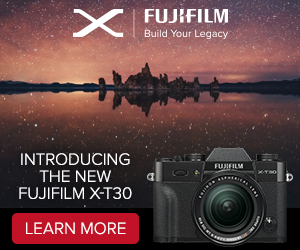 Q: Does panasonic have any plan for retro-designed cameras like X100 or PEN-F? Q: Would every forthcoming cameras have 4K? If they would, then do they have same 4K features? A: I expect they’ll do have 4K all, yet I’m not sure if their features and performance would be same. Q: Could existing models like GF7 acquire 4K via firmware update? A: I doubt it Processor-wise.